Sleeves: For the protection and presentation of flowers and plants. 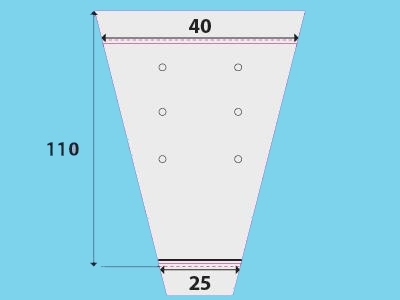 The size is always mentioned in gross size (= net size + a 5 cm block above the perforation strip). Sleeves are sold per box. All sleeves are antistatic. CPP: Flexible, easy-to-use material. The number besides the material typ mentiones the thickness. OPP: Stiff material with a better presentation than CPP. The number besides the material typ mentiones the thickness. LG: Sleeves with air holes. HN: Sleeves with mini air holes. BD: Sleeves with a botom seal. Sleeves for phalaenopsis also contain bottom holes. Vsl: Seal contruction (in a V-shape) that can carry heavy pots. GP: Sleeves with a "Der Grüne punkt" logo. Used for the German market.